A few days before the start of World War Two, Secret Intelligence Service spymaster Thomas Kendrick arrived at the Tower of London to trial a top secret operation: German prisoners’ cells were to be bugged and listeners installed behind the walls to record and transcribe their private conversations. This intelligence gathering mission proved so effective that it would go on to be set up at a further three sites – and provide the Allies with crucial insight into new technology and deadly V-weapons being developed by the Nazis. In this astonishing history, Helen Fry uncovers the inner workings of the bugging operation. On arrival at stately-homes-turned-prisons like Trent Park, high ranking German Generals and commanders were given a ‘phoney’ interrogation, then treated as ‘guests’, wined and dined at exclusive clubs, given cigars and whiskey, and encouraged to talk. And so it was that the Allies got access to some of Hitler’s most closely guarded secrets – and from those most entrusted to protect them. "The book breaks new ground in drawing attention to the role of Jewish personnel." "Highlights the involvement of rank and file German troops in war atrocities." Stephen Smith, executive director of the USC Shoah Foundation. 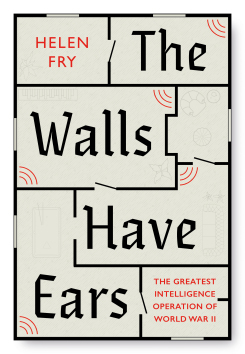 "There are tens of thousands of pages of paper in these records and Fry is to be congratulated on creating a coherent and digestible narrative from them for the lay public." "An interesting account of a little-known aspect of the War." 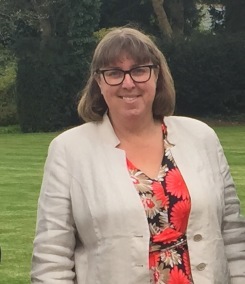 The M Room, by historian Helen Fry, was featured in a Telegpraph article this week on the preservation of important World War Two site Trent Park. Helen Fry is featured on the front page of Findatvexpert.com.